Shocking news! For parents who often buy snack foods for their children, it is the most bizarre news. The snack foods available in the market for children can have harmful petroleum products as well as artificial colouring which can lead to cancer. 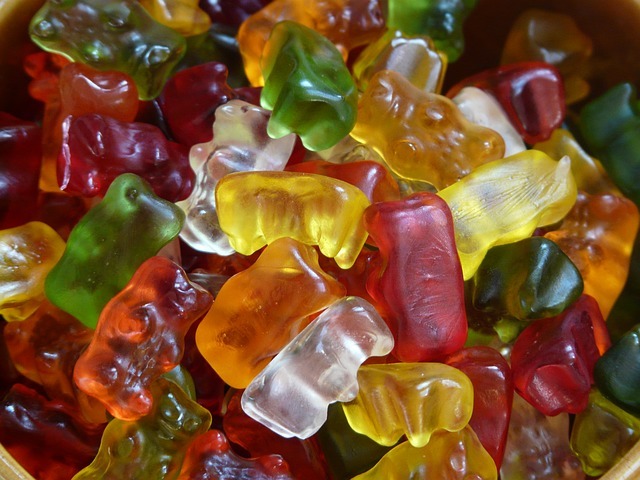 The food dyes like Red 40 and Yellow 5 which are commonly used in children snack items are made from petroleum and thus can lead to many health issues. However, the ingestion is under the “concern threshold” as per Federal Food and Drug Administration (FDA). With the regular consumption of this snack the children can suffer from hyperactivity or even cancer, also chances of allergic reactions are high. The artificial food colour used in the snacks is also associated to the health issues like ear infections, obesity, diabetes, asthma, headaches, mood swings, eczema, sleep disturbances, bed-wetting, increased risky behaviour, chromosomal damage, ADD/ADHD, hypoglycaemia and hives. Due to used of such toxic substance in artificial food colour the European Union and the British government has banned the use of dyes in entire Europe. Well, pop tarts are quite popular and it is a kind of toaster pastries which got introduced in 1964. In the strawberry flavour consist of dextrose, high fructose corn syrup, corn syrup and sugar as the main 6 ingredients. Now, it is different forms of sugar which are harmful to children. It uses the colouring agent which consist of TBHQ. The compound TBHQ is a petroleum product which is associated with butane, a partially hydrogenated soybean oil which can lead to cancer, and cellular dysfunction. Many parents think that fruit snacks are healthy as it has the extract of fruit but the reality is quite different. The fruit snacks are available in many different flavours with attractive shape and size. It consists of the artificial additives as well as colours. It has a petroleum product recognised as E127 or Erythrosine and Red 3 the food colouring agent which is hazardous for the health. Blue #2: This colouring agent is responsible for increasing the hyperactivity, makes children prone to brain tumors and leads to abnormal cell development. It is a petroleum product and harmful for health. Blue #1: It is responsible for the production of malignant tumors. Red #40: It seriously damages DNA. Yellow #5: This is also a petroleum product and leads to hyperactivity, cancer and allergic reactions. These are the attractive looking orange, cheesy snacks. You will be surprised to know that the cheese looks which your child like are actually artificially created using color Yellow 6. This colour is a product os petroleum and causes many health issues. Whereas the flavour of cheese in this Cheetos is also created using chemicals like methyl benzoate and ethyl methylphenidate. These are old products available from 1988 in 5 different flavours. The bears are tiny in size and thus suitable for the small fingers of your child. You have to be aware that these tiny bears consist of dreaded TBHQ. The compound TBHQ can lead to vomiting, nausea, ringing in the ear, delirium and sometimes collapse. It is highly toxic and associated with fragmented DNA issues, can damage the human lungs and cause cancer. In children, it can damage the umbilical cells and can be responsible for restlessness, anxiety and promotes the symptoms of ADHD. You might feel that the children snacks are easy to pick up and go. The products are attractive and thus, children get interested in it. Instead of these products full of chemicals you can switch to celery, organic fruit or proportioned bags of carrots which you can use as a snack item for your child. The granola bars with flax seed and chia are also healthy food for children and you can fill them with nuts or fruit to make it delicious. Thus, get some home-made food for your kids which will help for their proper development and growth. Say goodbye to the artificially prepared children snacks and save your child from the toxins. Share this information with your loved one’s and stay healthy!